Robert “Rio” Hahn is an explorer, photographer/filmmaker, and author. Popularly known by the sobriquet “Rio,” given to him during his Amazon River explorations. He is a Fellow of the Royal Geographical Society; a founding and life member of the Rainforest Club; a Fellow, two-term Director, and past Ombudsman of The Explorers Club, as well as serving three terms as Chairman of the San Diego Chapter. He is the recipient of five Explorers Club Flags, a licensed sea captain, an open water diver, a founding member of the International Society for Ethnopharmacology, and was awarded the title of High Chief of Western Samoa. A graduate of the University of Pennsylvania in Philadelphia, Rio studied in the Annenberg Graduate School of Communications with the ground breaking human behaviorists Irving Goffman and Ray Birdwhistle. He then became an apprentice-in-residence to the world-renowned American photographer, Minor White, Chair of the Dept. of Photography at the Massachusetts Institute of Technology. Rio assisted with White’s courses, exhibited with White at the Philadelphia Museum of Art, and worked with White on his concept of consciousness in photography. Rio is currently in pre-publication of a book, with the cooperation of the curator of White’s archive at the Princeton Art Museum, which will present White’s concepts and photographic exercises to the public for the first time. For over 40 years, Rio and his associates have engaged in a number of innovative ecologically oriented entrepreneurial projects on five continents. 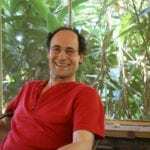 Rio is a co-founder, Fellow, Director, and past president of the Institute of Ecotechnics, whose research led to the Biosphere 2 Project, which he co-initiated. In the mid-1970’s he participated in the design and building of the research vessel Heraclitus, an 82-foot, 120 ton, ferro-cement Chinese junk. In the early 1980’s Rio organized and was scientific chief for the Amazon expedition aboard the junk, following which he led a 40-month multidisciplinary circumnavigation expedition aboard the Heraclitus, during which he co-directed a series of cultural documentary films.